I mentioned in an earlier post attending a workshop with Bonnie Hunter, designer, blogger and author. Well, here is an EQ6 drawing of the version of “Starstruck” I started in her workshop. I added the Freindship Star border in black and cream as a little bit of my own contribution to the design. 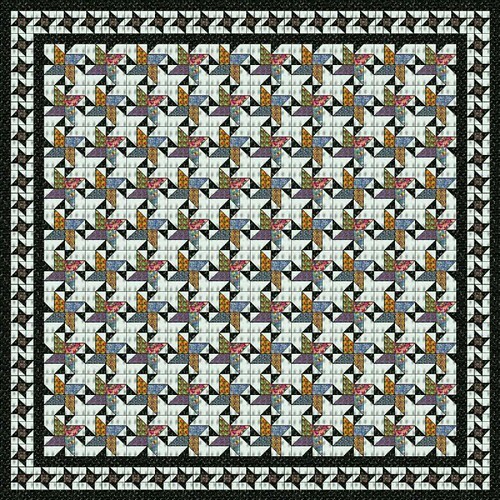 My finished quilt will be 97″ by 97″. Notice the dark stars and the light stars in the body of the quilt. 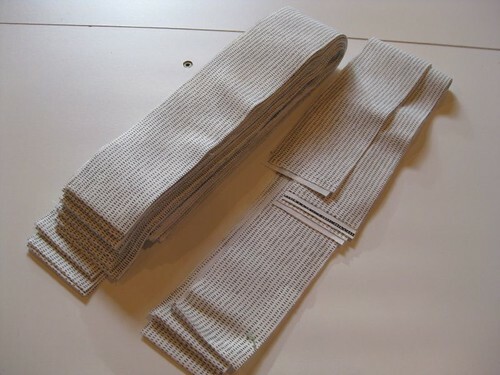 Sewing them together and cutting into squares. 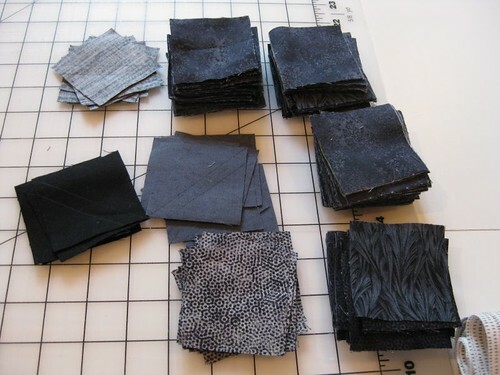 Cutting out lots of little black squares………. and lots of light squares. 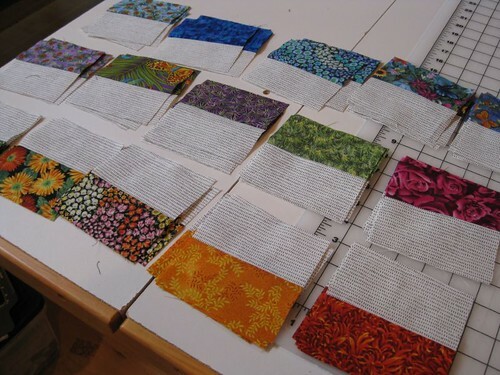 And sewing them all together results in blocks of various color combinations. 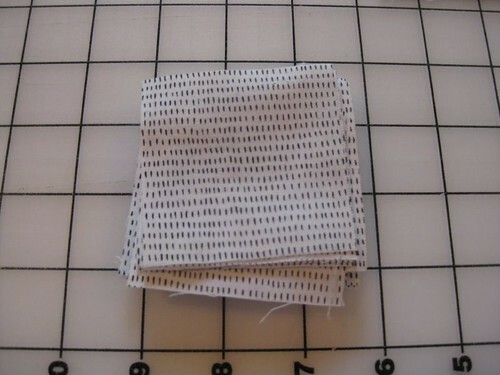 I need 100 of these blocks to finish my quilt. I will keep you posted on my progress! 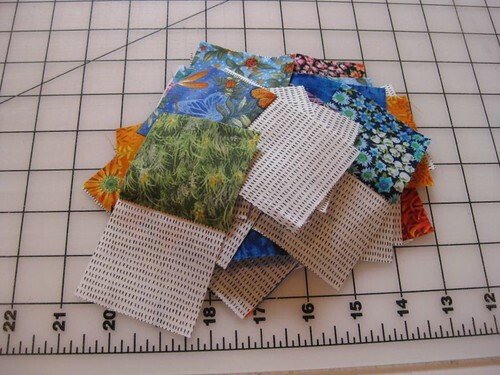 … and pieces that can be turned into four patch units. Isn’t that wonderful? I saw your quilt posted in pics for quiltville or stashbusters a while back. It is my absolute favorite version of Star Struck. 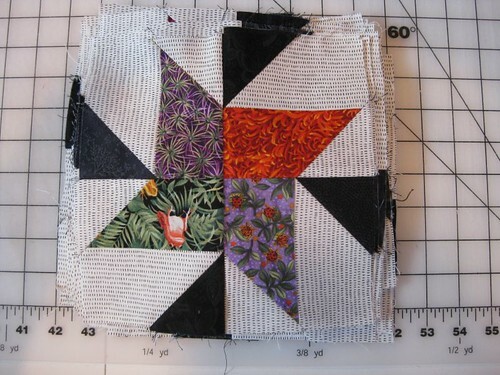 I’ll be taking a Star Struck (and Blue Ridge Beauty) workshop from Bonnie in October….so the hunt was on for a picture of your inspirational quilt….and I FOUND it! It’s so gorgeous. Hope mine turns out as well! I’m savoring all these in progress pictures of it. Thank you! Glad you enjoyed this post. Some of my friends and I will be taking Bonnie’s Blue Ridge Beauty workshop, too, in September. 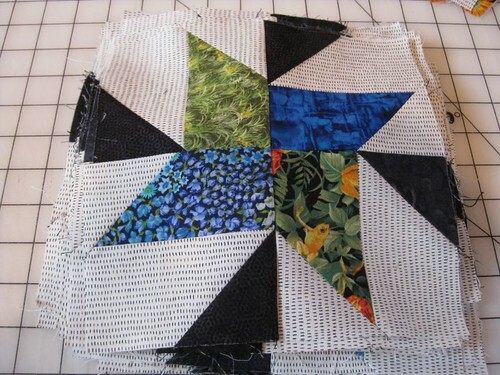 Did you click on the Starstruck category on the side bar to see my other posts on this quilt? Thanks for your comment. 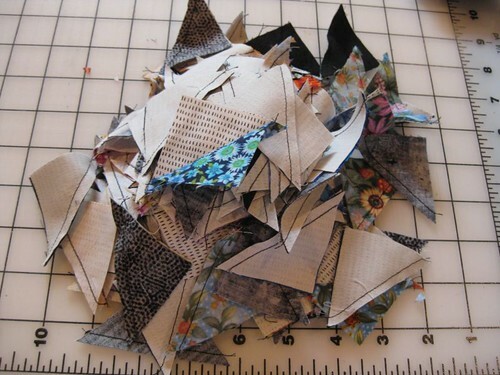 Oh, yes, I’ve looked at all your “progress” photos of the starstruck quilt. Gosh, I wish I could figure out how to make your quilt my screensaver! lol What are your ideas for the Blue Ridge Beauty? Are you going to do the suggest blues and lights? I haven’t decided yet. I even thought of brights and lights (like bright red, bright blue, bright green, etc…making sure enough contrast between the brights and lights)…but not sure how that would turn out. 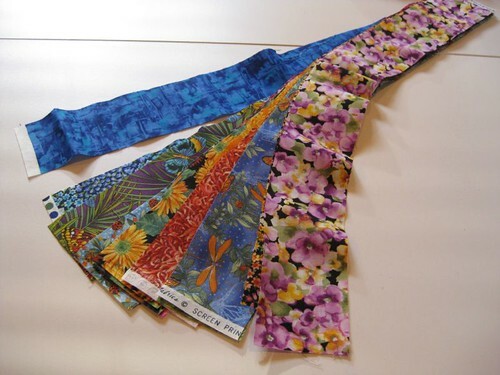 I have a basic Electric Quilt program so maybe I should see if I can try it out on there. Sigh. more hours…. Be sure to post about your Blue Ridge Beauty workshop!